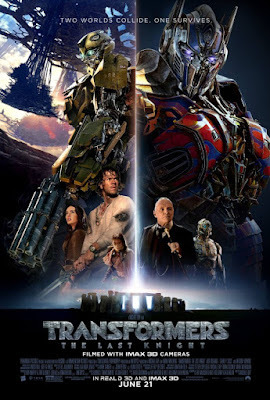 You can download an admit two pass to see the new movie TRANSFORMERS: THE LAST KNIGHT at AMC Sunset Place 24 - 5701 Sunset Dr., South Miami, FL 33143, on Monday June 19th, 2017 at 7:30pm. The Last Knight shatters the core myths of the Transformers franchise, and redefines what it means to be a hero. Humans and Transformers are at war, Optimus Prime is gone. The key to saving our future lies buried in the secrets of the past, in the hidden history of Transformers on Earth. Saving our world falls upon the shoulders of an unlikely alliance: Cade Yeager (Mark Wahlberg); Bumblebee; an English Lord (Sir Anthony Hopkins); and an Oxford Professor (Laura Haddock). There comes a moment in everyone’s life when we are called upon to make a difference. In Transformers: The Last Knight, the hunted will become heroes. Heroes will become villains. Only one world will survive: theirs, or ours. TRANSFORMERS: THE LAST KNIGHT opens in Theaters on June 21st, 2017. NO PURCHASE NECESSARY. Passes available on a first-claim first-serve basis. You will need to register for a free Gofobo account in order to redeem the passes and each registered user account is limited to claim one admit-two pass. SEATING IS LIMITED, SO ARRIVE EARLY. PASS DOES NOT GUARANTEE A SEAT AT THE SCREENING. Refer to screening pass for further restrictions.